How freakin’ adorbs is this “Cat on a Fence” card? 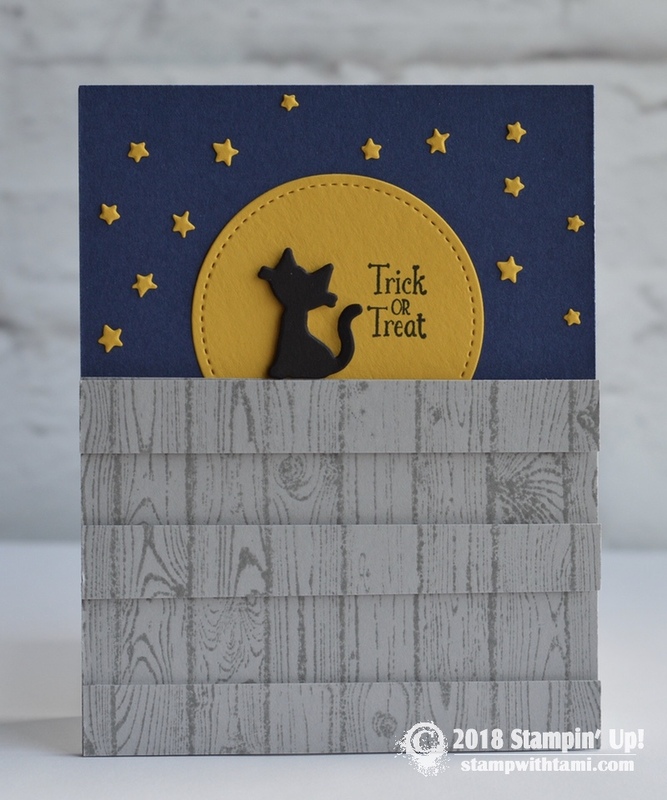 The cat and stars are die cut from the Cauldron dies, and the words are from the matching Stampin Up Cauldron Bubble stamp set. The fence is created from the Hardwood background stamp. The moon is from the Stitched Shapes dies.